Johns Creek • Lawrenceville • Lilburn • Norcross • Roswell •Sandy Springs • Scottdale • Stone Mountain • Suwanee. Use our Repair Request Form and receive your 10% discount on labor today. 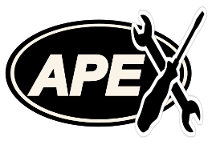 Apex Appliance Atlanta are specialist repair, maintenance and installation professionals for dishwashers, dryers, freezers, garbage disposals, icemakers, ovens, ranges, refrigerators, stoves and washers. We are able to handle most appliance breakdowns and issues quickly with minimal disruption and same day service. Our technicians are fully insured for all works carried out with years of experience in the industry. 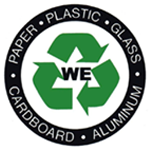 Be assured that you are dealing with the right company on a personal basis. We understand that customers need a local and reliable repair guy which is why we take a friendly approach. If you have any questions before using us, please feel free to contact us. We’ll be happy to help if we can and would rather have a customer who refers us than a customer who does not remember Apex Appliance Services. We cover a wide area with diverse needs, but our local knowledge and experience with appliance services make us a preferred company, referred to others as the 'appliance repair guys' which is good, because that is exactly what we do! Don't forget to use our Request Form for a 10% discount on labor in metro Atlanta. We value our customers and their opinion of our services which is why we always appreciate your feedback. If you have time and are happy to comment on our company and team of technicians, we would be very grateful.